Do you have heel pain when rising from bed in the morning or after a period of sitting? Does your heel pain worsen toward the end of the day or after prolonged activity? Does your heel pain ache all day? Does your heel pain prevent you from exercising or doing physical activities you would usually do? Have you experienced heel pain for longer than 3-4 days? If you answered ‘yes’ to any of these questions, it is likely that you are experiencing one or more of the many conditions that cause chronic plantar heel pain. This condition is NOT difficult to treat. Ready to resolve your heel pain? There are several conditions that can cause plantar heel pain (in one or both heels); including plantar fasciitis, stress fracture of the heel bone (calcaneus), tear of the plantar fascia and bruising of the fat pad. Podiatrists at South Coast Foot Clinic treat clients with these conditions everyday. What will the Podiatrist at South Coast Foot Clinic do? What will happen one the cause has been diagnosed? What will happen if I just put up with the pain and see what happens? Some research trials indicate that (for some types of heel pain) if you do nothing at all, your heel pain may resolve within 12-24 months. However, we often see clients who have experienced heel pain for several years. Landorf KB, Keenan AM, Herbert RD: Effectiveness of foot orthoses to treat plantar fasciitis: a randomized trial. Archives of internal medicine 2006, 166(12):1305-1310. McMillan AM, Landorf KB, Barrett JT, Menz HB, Bird AR: Diagnostic imaging for chronic plantar heel pain: a systematic review and meta-analysis. Journal of foot and ankle research 2009, 2:32. Radford JA, Landorf KB, Buchbinder R, Cook C: Effectiveness of low-Dye taping for the short-term treatment of plantar heel pain: a randomised trial. BMC musculoskeletal disorders 2006, 7:64. Rathleff MS, Molgaard CM, Fredberg U, Kaalund S, Andersen KB, Jensen TT, Aaskov S, Olesen JL: High-load strength training improves outcome in patients with plantar fasciitis: A randomized controlled trial with 12-month follow-up. Scandinavian journal of medicine & science in sports 2014. Cotchett MP, Munteanu SE, Landorf KB: Effectiveness of trigger point dry needling for plantar heel pain: a randomized controlled trial. Physical therapy 2014, 94(8):1083-1094. Ready to book your appointment now? 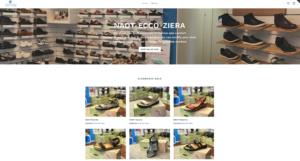 View our Online Footwear Store!